OPPO brought you R11s which is going to be a successor to R11 that was launched in early month of this year.first of all shall we test its lower back twin camera that reminds me the apple's flagship device iphone 7 plus. i'm pretty apparent that much like its layout, digital camera nice of oppo's R11 will even beat the pictures result of that flagship tool. right here one more component is pretty clear that this smartphone is painted with gold color too that appears pretty beautiful on oppo R11s's lower back aspect. dual camera setup is capable to seize image with its dual 20 mp+16 mp lens meaning now the photographs will be far extra better then its predecessor.oppo R11s provided you qualcomm snapdragon 660 chipset in order to help the octa processor to improve the processing speed like a bulit while consuming the much less amount of R11s battery electricity. similarly to that 4GB of ram is placed inside provided. Oppo R11s,s largest 3200mAh non removable battery provide you nonstop high end gaming time talk time and few days of standby time.you can watch movies and use internet with this 3200mAh battrey upto 7hr nonstop in a day. Disclaimer : Oppo R11s 4G Dual Camera Mobile 4GB RAM 64GB Storage price in Pakistan is updated on daily basis and rate/price for Oppo R11s 4G Dual Camera Mobile 4GB RAM 64GB Storage is valid for all cities of Pakistan included Islamabad, Rawalpindi, Lahore, Karachi, Faisalabad, Peshawar, Sialkot, Quetta etc. Oppo R11s 4G Dual Camera Mobile 4GB RAM 64GB Storage price depends on many factors thats include the price of dollors, manufacturar price and import cost and duties etc. 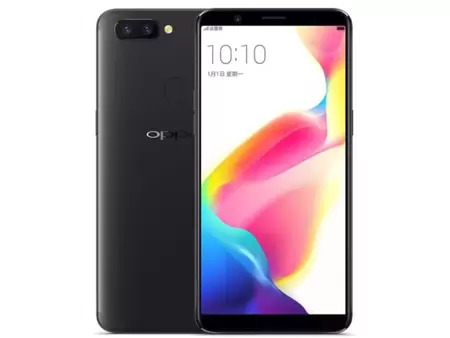 Our team entered specs from diffrent resources and not responsible for any typo error in specs for Oppo R11s 4G Dual Camera Mobile 4GB RAM 64GB Storage, please report any such error in bug report panel for Oppo R11s 4G Dual Camera Mobile 4GB RAM 64GB Storage. Oppo R11s 4G Dual Camera Mobile 4GB RAM 64GB Storage price in Pakistan.